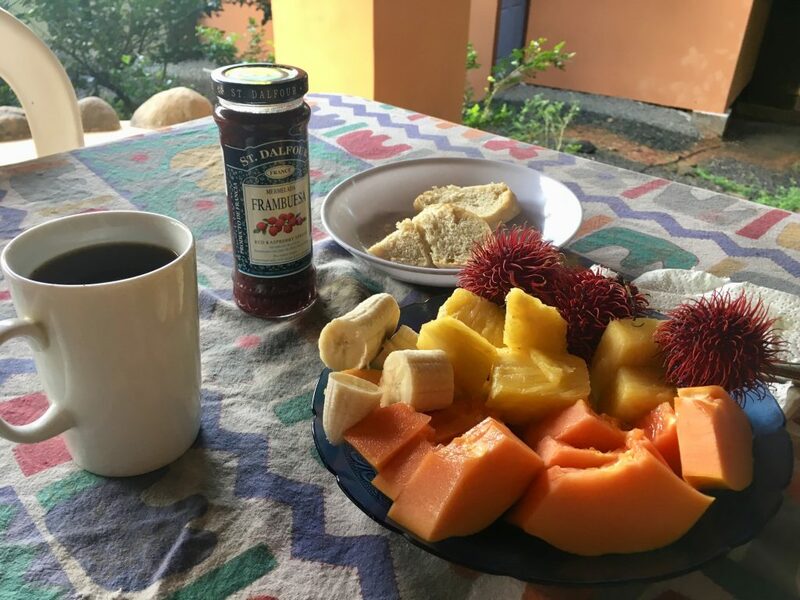 Breakfast of champions: Papaya, pineapple, banana, mamon chino, Costa Rican coffee and locally baked ciabatta. The jam is pretty damned good, too. At least once a week, I consider blowing up my Facebook, Twitter, LinkedIn, Instagram and Google profiles and giving up on the social web. The data breaches alone are horrifying, and the intrusiveness of advertising increases daily. Heavy handed advertising ruined TV sports for me, making games tedious waits during commercial breaks for another tidbit of action. I gladly pay each month for an ad-free Netflix. And advertisers’ voracious taste for data is leading the Web down the same path. I use an ad blocker on my Chrome browser, which helps, but it doesn’t stop that constant, invasive data harvesting that occurs in the background. Not to mention the outright data breaches. That’s why I’m cautiously enthused to read that Tim Berners-Lee, the “inventor of the World Wide Web,” is taking a sabbatical from MIT to work on a platform called Solid that will attempt to decentralize the Web, focusing more on peer-to-peer interactions and hopefully disintermediating middlemen like Facebook and Google. Pivotal to Solid’s thinking is the idea that your data will be stored by you, and you will decide with whom and under what circumstances that data will be shared. Berners-Lee’s blog post makes some grandiose claims for what Solid will deliver. If someone pitched it to me via PowerPoint in a boardroom, I’d probably walk out shaking my head, thinking them quixotic, at best. But this is a windmill that’s worth tilting at, so it’s worth keeping an eye on. My main fear is that they’ll build an Egghead Ghetto, a cave where only geeks and data junkies gather to hide from the commercial web. Getting regular users and attaining scale would be critical to the success of Solid. Developers and normal people would have to embrace it. That’s why I haven’t blown up my social media accounts. 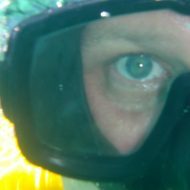 Like that Yahoo account, there is still some residual value there, some ability to connect with people I wouldn’t otherwise be able to, or with whom it would be much more difficult to interact. Godspeed, Solid. I’m rooting for you. Today marks 3 weeks since I mangled my ankle. Progress continues, slow but steady. The meds are really helping, the swelling is down some and there’s a bit less wobble to my hobble. I’ve started reading Turgenev’s Fathers and Sons. I picked it up after Karl Ove Knausgaard discussed it at length in his book, Spring. My attempts to read the great Russians generally peter out before I get to the end. I greatly admire them, but they’re so heavy with religious themes and moral hand-wringing (not to mention the length) that it wears me down. Not so Turgenev. He’s more of a naturalist or realist and seems interested here in the idea of love, the relationship between generations, and how we behave in the face of societal change. His Bazarov character, a “nilhilist,” seems to herald some of the stupidity that would emerge decades later from the Russian Revolution. Wildlife update. A blue morpho butterfly flittered past as I was writing this section, and last night, for the first time here at PurUvita, I saw a pair of macaws. They were distant — across the road, high in the trees overlooking the beach — but I heard their unmistakable squawks and after scanning the area for a few minutes spotted them right before they took flight, heading north up the coast. I wasn’t close enough to ID the specific type of macaw, but their profile in flight was unmistakable. They were raising majestic hell the entire way. My next task this morning is a rewrite of a chunk of the The Book in third person. I’ve been worried that I’m outrunning my supply lines writing it from multiple first-person vantage points, and the fiction writing course I’ve been working through discussed the relative merits of each approach during the lectures I listened to last night. This seems a good time to do a gut check to make sure I’m not painting myself into a corner. I am smitten with that multiple first-person approach, though, especially after having read Tommy Orange’s magnificent There, There recently. But I’m not Tommy Orange … and maybe a more conservative approach would make sense here. We’ll see.